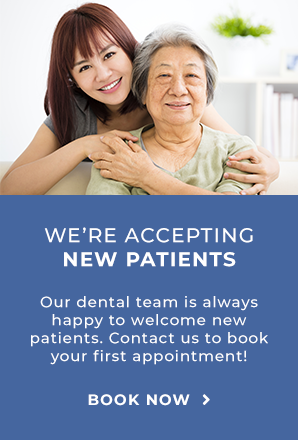 If you have a damaged, broken, or a missing filling our Scarborough dentists at Markham Steeles Dental Centre can fix your tooth with a custom dental inlay or onlay. Inlays and Onlays are custom molded permanent filling that can be used to replaced damaged or missing fillings. An Inlay sits within the edges of the top of the tooth, while and Onlay extends over the edges. If our dentists determine that and Inlay or Onlay is right for you, they will complete the procedure over two appointments. In the first appointment, the damage and decay is removed from the tooth, a mold is taken to create the custom Inlay or Onlay, and a temporary filling is put in place. On your next appointment, after the custom Inlay or Onlay is made, the dentist will remove the temporary filling and replace it with the Inlay or Onlay.